For all you gardeners out there, winter can be a rather boring time of the year. Cold weather forces us to spend more time indoors and our motivation to dig in the cold earth is at a minimum. A fun project we can all enjoy this time of year is starting seeds that will end up as our gardens in the spring. By starting your own plants from seed, you will not only save money, but will have a project that the whole family can get involved in. If you are a first time gardener, the thought of planting seeds can be a little overwhelming. Hopefully this will answer enough of your questions to take away the guess work and make this fun. Let’s start with planning your garden. If you’re a novice, stick with the basics. Tomatoes, peppers, green beans, and cucumbers are fairly easy and yield a crop we all love. Don’t over plant and crowd out your garden. Most of the information about plant height and distance between plants is on the back of the seed packages. Other information such as time needed for germination and time to harvest can also be found on seed packages. 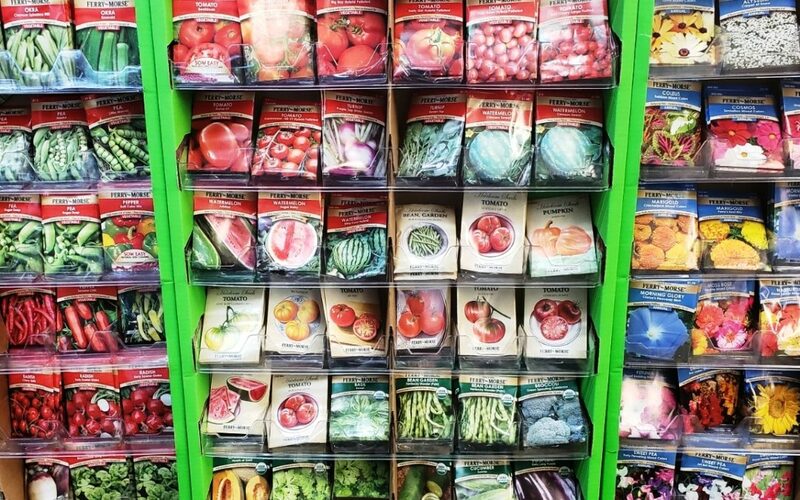 Stop by the garden center and we can help you find the best seeds to get you started and help you plan your planting time and garden lay out to keep your project fun. We now have in stock all of our seeds along with several different types of planting mediums, pots, and miniature heated greenhouses. As with any garden project, soil is the key to success. Knowing the difference between the many types of soil will help reduce seed failure and give you a much healthier crop. From the day they germinate, vegetable seedlings face challenges from fungi and bacteria in water, soil and air. The fewer troublemakers they face, the better they can grow, which is why using fresh seed-starting mix or a high quality potting medium each winter is so crucial. Quality seed-starting mixes are formulated to discourage common soil borne pathogens that cause seedlings to rot. They also help to retain water and exchange air with ease. As always, come by and see us and we can answer any questions and help you find the soils, minerals, and fertilizers for all you gardening needs.